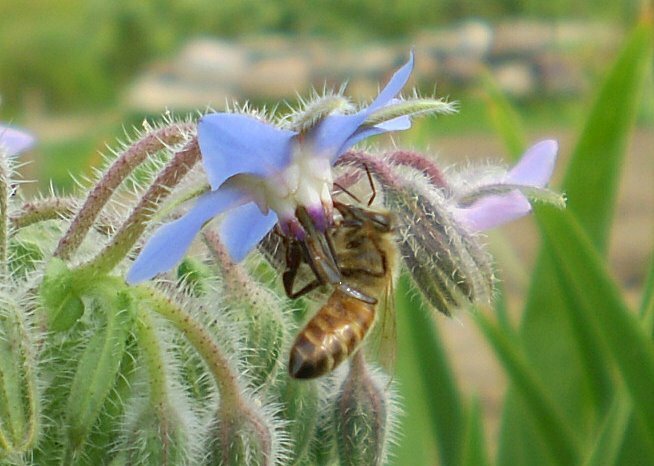 Borage attracts many beneficial insects. 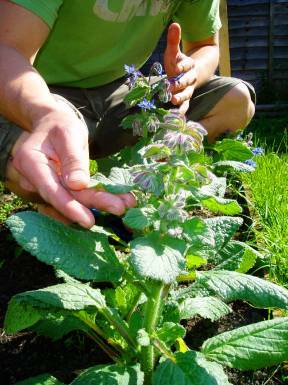 Borage is an annual that can be used as a perennial. 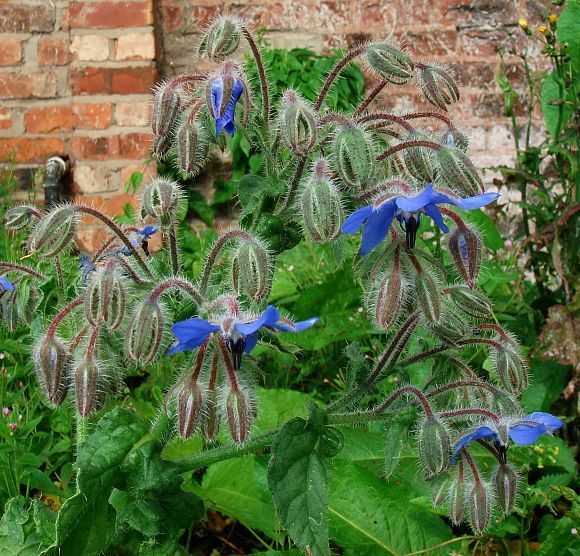 While Borage may be a rather scrubby plant (covered in a light fuzz that turns to stiff prickly hairs as the plant matures), its brilliant blue flowers more than make up for it. It is an annual plant, but it reseeds so easily that it can almost be considered a perennial. The leaves and edible flowers have a cucumber-like flavor, it has a deep taproot that breaks up hard-packed soil, the flowers provide nectar to beneficial insects, and the fuzzy leaves are a favorite hang-out of beneficial pest predators for the garden. 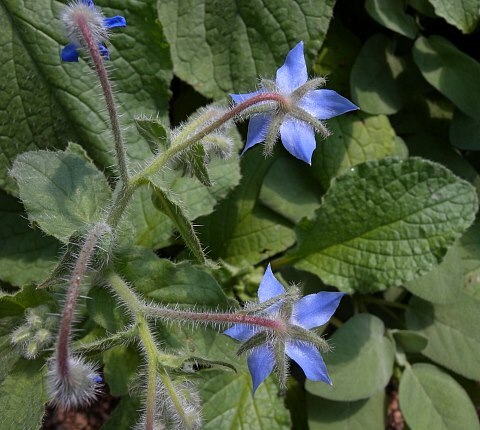 Borage is a great addition to a Forest Garden. 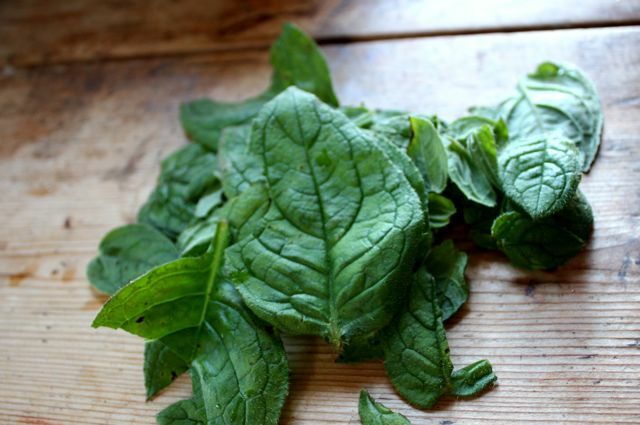 Originating from Syria, this annual herb is now naturalized through Europe, Asia, North Africa, and South America. 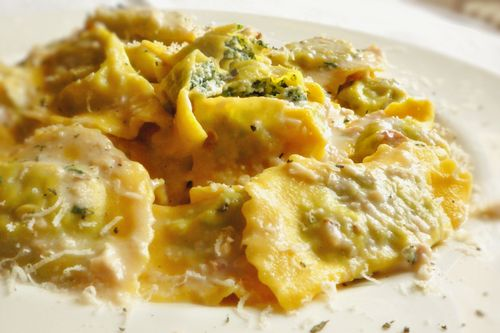 Borage was once used to flavor wine. 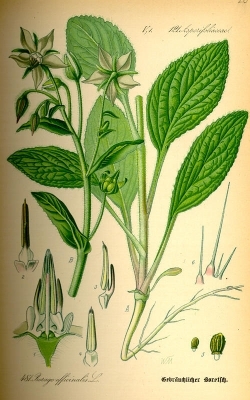 Borage was historically used to give men courage. Borage is not a large plant. Harvesting: Flowers at any time. Leaves are best picked young before the fuzzy hairs develop. Storage: Flowers best if used shortly after picking. Leaves are best if used within a few days of harvest if stored in a cool place. Young leaves (before the fuzz develops) are the best for eating. Cultivars/Varieties: Many varieties available, although few are named. Life Span: 1 year as this is an annual, but functionally can be treated as an indefinate life span as it so readily re-seeds. 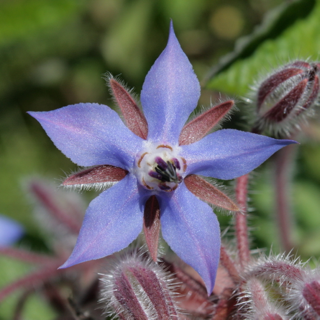 Borage is covered with fuzz – stems, leaves, and all. This plant is easily blown over. Consider growing in a wind protected spot or plant them close together so they support each other. Propagation: Easily from seed. Seed typically sown April – May. Best if direct seeded. Concerns: Can be very dispersive via seed; however, I see this as a beneficial plant, not an invasive one… I would encourage its spread. 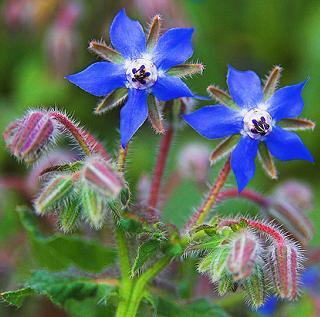 Borage has beautiful edible flowers.